What is going to happen to me? It is one of the first questions everyone asks if they find themselves charged with a crime in NY. If you are talking about the outcome of the case, that is impossible to answer. Every single case is unique, and there are many variables involved that go into determining whether someone will end up in prison, on probation, getting a not guilty verdict, or even having their charges dropped or dismissed. Even the most experienced and knowledgeable Brooklyn NY criminal lawyer who has heard the specific details of your case cannot tell you what the outcome will be. All that he or she can do is tell you your options and suggest a defense strategy likely to lead to the best possible outcome for you. However, it is possible to answer, “What is going to happen to me?” in a far more predictable sense, because New York Criminal Procedure Law is quite specific about what is required to occur in criminal cases. Here is how that works if you are charged with a felony. A felony crime is allegedly committed. The first thing that needs to occur is the actual crime. This may seem obvious. However, in some cases, it is possible to argue that no criminal act occurred, so it’s important to know and include. After a crime occurs, the first step in a criminal case is the arrest and police filing charges. The police do not necessarily have to arrest you immediately after the crime took place; it merely has to fall within the statute of limitations for that particular crime. For example, murder has no statute of limitations. Other crimes do, and it is illegal to arrest someone outside of the statute of limitations. An arraignment is an official court appearance in front of a judge. The goal in New York City is for your arraignment to occur within 24 hours of your arrest. At your arraignment, the charges against you will be formally read, and bail may be set. Discovery basically refers to how information is exchanged between opposing legal parties. In other words, in order to have access to the evidence and other information the prosecutor has, your lawyer needs to formally demand that they share it. the first time that counsel appears. The court will go with whichever of these things happens last. In other words, if you do not have a lawyer at your arraignment and only hire someone later, they will have 30 days from the first time they appear after that point. One big caveat: a demand for discovery must be made before the trial begins. It is important to submit discovery demands and bills of particular requests as early as possible. That way, if the prosecution does not comply or tries to stall, you can file a motion to compel in the Omnibus Pretrial Motions. After arraignment, you have 45 days to file those motions. Though the prosecutor has six months to indict a defendant on a felony, by law, Grand Jury proceedings must be held within six days of the arraignment taking place unless you waive the time limits or other extension is granted. Very often, defendants simply waive their right to testify before a Grand Jury because they believe an indictment will result anyway. Consultation with the attorney will lead to a better decision of whether to testify. In some cases, the defense can request that certain evidence come before the Grand Jury. Sometimes that evidence can result in dismissal of the felony charges. If the Grand Jury issues an indictment, there will be a second arraignment to hear the indictment charges. There are a variety of hearings and motions that can occur at this point, before your case goes to trial. They tend to deal with potential legal issues, evidence, and other issues, the resolution of which could potentially be beneficial to you. These can end up taking as long as two years depending on the number and complexity. 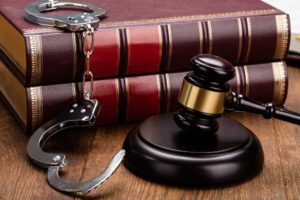 During this time (and even throughout the trial, which could be the next step), your attorney may be continually negotiating with the prosecutor to arrive at a favorable plea deal for you. If a deal is reached, you may plead guilty for a lesser offense and/or more minor penalties, and there is no need for a trial. If you cannot come to a deal, it is time for the trial. There are two types of trials – trial by jury and trial by judge. Non-jury trials can be as quick as a day or two, while jury trials tend to last at least four or five days – and can last weeks or even months in very complex cases. At the end of the trial, you will either be convicted or acquitted in some way, shape, or form. If you are acquitted, that is essentially the end of the case. However, if you are convicted, there is more to come. After you are convicted, the judge learns as much about you as possible in order to help him or her determine the length and nature of your sentence. This may involve going over any and all existing records (criminal, medical, education, job history, etc.) as well as psychological and medical exams in some cases. The pre-sentence investigation usually takes less than 8 weeks. Sentencing is the final stage. When you add it all up, a felony case in NY can end up taking three to four years of your life. That’s a lot of time, particularly if your case ends in a negative outcome. Because of all this, it is absolutely vital that you seek out a Brooklyn NY criminal lawyer that you trust and who has a track record of success handling felony cases. A skilled defense attorney will be able to help you craft the strongest possible defense and give you the best chance at receiving a positive outcome.